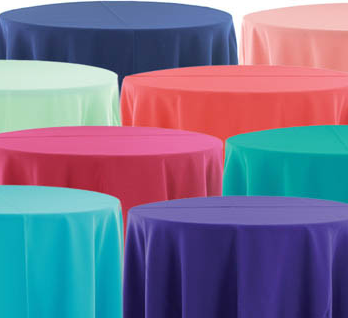 Your table’s look will not be complete without the right table linen, and here at Party Tyme Rentals we have just what you need. Both formal and informal gatherings will be more memorable with an attractive table Cloths. 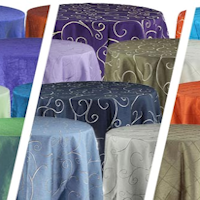 Our popular selections include Damask, Checkered, Solid Color, Satin Stripe, Metallic Lame, Brocade, Lace, Satin Lamour, and Satin Crush Iridescent. Each is available in a wide selection of colors to suit your party needs. 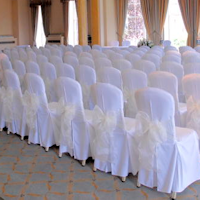 We offer round table linens, square table linens, rectangular table linens, banquet table linens, 6′ table drape, 8′ table drapes, drape table linens. 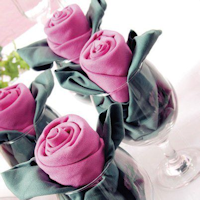 Additional options that will complement your table and table cloths include napkins and table skirts. Please feel free to call us to help guide you through you Party Linen Needs.